The Werner ranch is located in the heart of Wyoming’s antelope population. During your stay you will see hundreds of antelope. Our family owned cattle ranches offer over 35,000 private acres of prime hunting habitat for antelope, mule deer, and elk. Our family has been guiding hunters for more than 50 years. We specialize in archery antelope hunting. We have been guiding archery hunters since 1984. The archery antelope hunts have averaged over 85% kill on buck antelope for over 20 years. Our rifle hunts for antelope have been 100% successful for the past 20 years. We use spot and stalk for both antelope and mule deer rifle hunts. Wyoming’s license draw for antelope and deer tags has been 100% for more than 5 years. 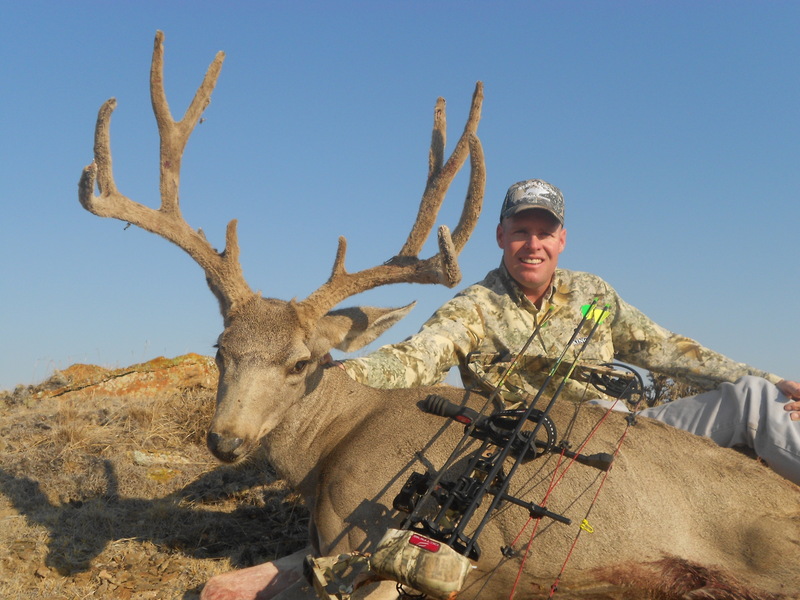 All our Wyoming antelope, mule deer, and elk hunts include lodging, guide service, and meals. The antelope and deer hunts will stay at our comfortable ranch house. Elk hunts will stay in our modern cabin which is nestled at the base of Laramie Peak.